Twilight Family by Lex Baker is now available! 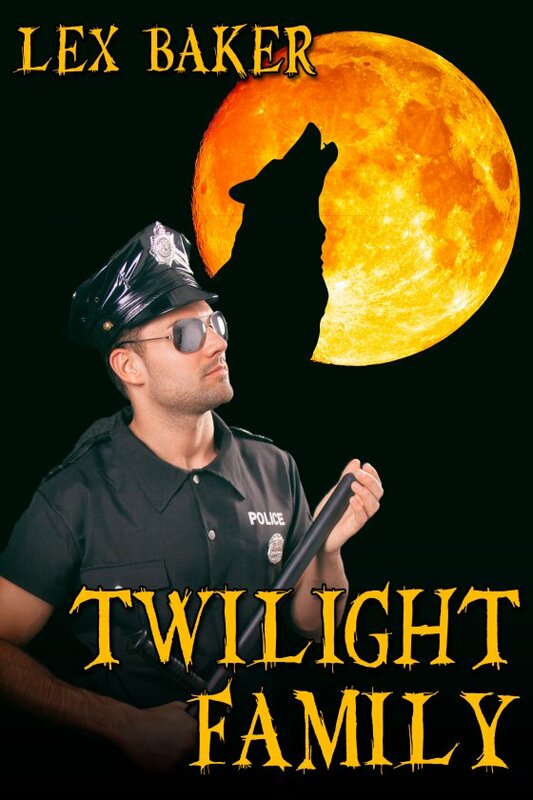 Jack Nightmare is a cop by day and an angel by night — keeping the peace in both worlds. He is perfectly happy, even though many in the underworld are not. An angel should be sworn enemies of a werewolf, not take one as his lover. But when it’s right, it’s right. And TV theme music composer Callum is right for Jack. It is challenging enough to fight for the good cause on all fronts, but then Jack gets pregnant, and that really complicates matters. And that’s not even taking into account Jack’s hormones running amok or his bizarre food cravings. Will it be a boy or a girl, an angel or a werewolf?